Since Iran’s Foolad Mahan won the first edition of the AFC Futsal Club Championship in 2012, only two other Iranian clubs have taken the title. 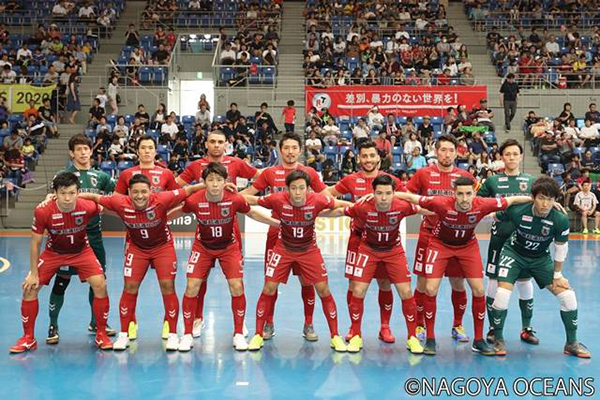 Japan’s Nagoya Oceans is the only team with three AFC trophies, but Thailand’s PTT Bluewave Chonburi Futsal Club won last year’s competition and this year hopes to equal Nagoya’s achievement by becoming the first team to ever win back-to-back titles. Can these top-three countries continue to dominate? Not necessarily. As the competition intensifies, new contenders appear and the traditional top teams are facing unexpected complications. 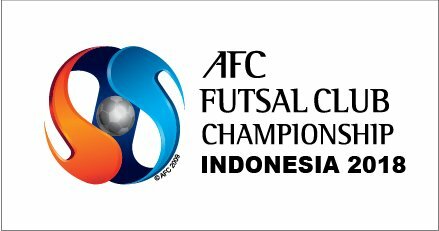 This means that Asia’s premier club competition that kicks off on Aug. 1 in Yogyakarta, Indonesia, is more open than ever. Defending Champion Chonburi: A Victim of Success? Chonburi’s glorious 3-2 victory over Iran’s Giti Pasand Isfahan in the 2017 AFC Club final was the start of a downhill path for the Thai powerhouse. Constant games for both the club and the Thailand national team without a break led to player burnout. The national team became the first victim of fatigue when Thailand went crashing out of the 2018 AFC Futsal Championship with a 1-9 quarterfinal defeat against Iran. And Chonburi almost missed the league title this past season. Had they not beaten archrival Port controversially in the last game, they would not have won that title. The team’s vulnerability was underscored by an unexpected loss in the early stages of the domestic cup competition that soon followed. Chonburi now sits atop the AIS Futsal Thaileague by a paper-thin margin as the league completes its first half. No new player acquisitions have been made in advance of the trip to Yogyakarta. And in a recent tour of Japan, Chonburi had to work hard for a win and a loss against Japanese clubs Tachikawa-Fuchu (currently 2nd place in the F.League) and Machida (5th). The Iran national team’s global reach was on full display at the 2016 World Cup, where they won the bronze medal and would have been a convincing champion. From goalkeepers to pivots and everybody in between, Iran has some of the top talent in the futsal world. In contrast, Iranian clubs have been less able to achieve success against their Asian rivals. Why? It could be the lack of stability of the domestic league. Tasisat Daryaei, the last Iranian club to lift the AFC Club trophy (2015), recently disbanded. 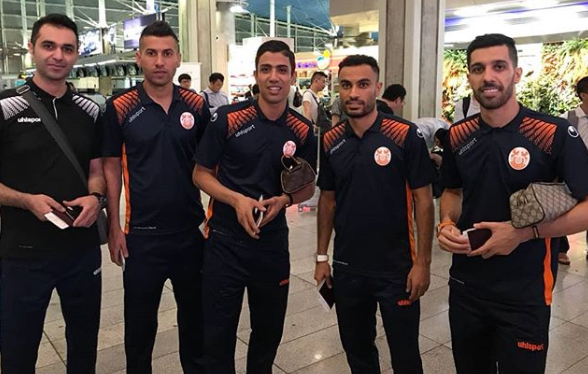 One other team that was constantly rumored to be on the verge of collapse was Mes Sungun, the very team that is representing Iran at this year’s edition of the AFC Clubs. The good news is that Mes was not dissolved. 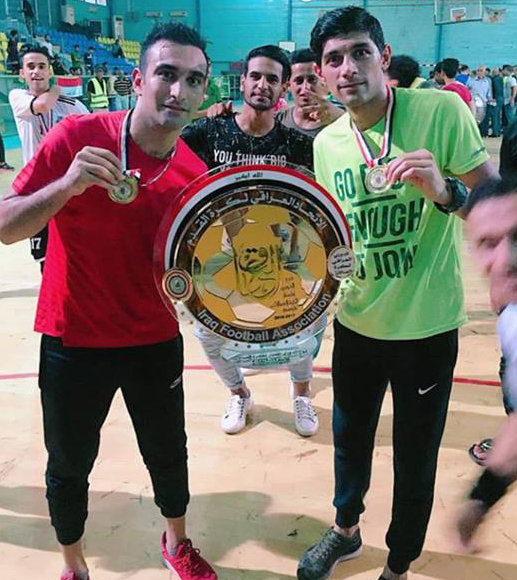 Iranian goalkeeper Samimi played a big role in winning the Iran Futsal Super League, but the truth is that Mes Sungun won the title without any major stars. Maybe that’s why local futsal authorities offered the “hand of God”? The team was miraculously able to acquire national-team stalwarts Ali Hassanzadeh and Hossein Taeyyebi in the 11th hour, but will these reinforcements be enough to make Mes Sungun a tournament favorite? Though Nagoya has three AFC Club trophies, the last title (2016) was won against all odds. The team had released their best player at the end of the prior season, Pedro Costa was just debuting as the manager, and they took only 13 players to the AFC Clubs – and some very young ones at that. Perseverance and good luck won out in the end. 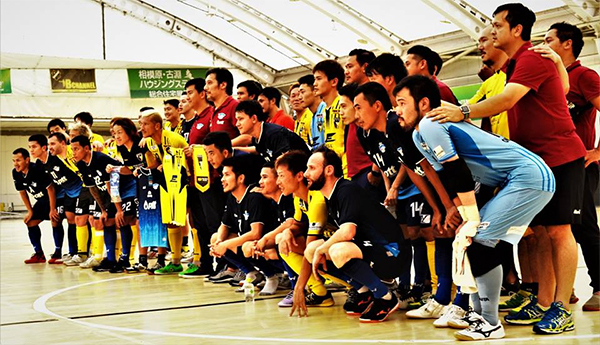 The team then returned to Japan and finished 3rd place in the league – the first time Oceans had not won the F.League title. The following season, in came three new foreign players, impressive domestic stars and Nagoya B team standouts, and the result was a return to the top of the F.League in 2017-2018. Nagoya are currently dominating the 2018-2019 F.League with seven wins in eight games, outscoring opponents 47 to 14. In choosing the players to go to the AFC Clubs, the problem was what to do about their three foreign players, only one of whom would be eligible to play at Yogyakarta. Pedro Costa has decided on Luizinho, who has been the most reliable scorer out of the three. The key question: How much attacking prowess will the team have without its foreign trio? With Chonburi, Mes Sungun and Nagoya Oceans not at 100%, the trophy is more available than ever. Who seems likely to take advantage of this situation? Lebanon and Iraq faced off in an epic quarterfinal battle at this year’s AFC Championship. Iraq emerged victorious 9-8 in penalties, but both teams demonstrated at that competition that they are now among the futsal elite of Asia. For the third consecutive year, Iraq’s Naft Al-Wasat will be bringing Iranian internationals Farhad Takavoli and Ghodrat Bahadori to the AFC Clubs. Meanwhile, all of Lebanon’s key internationals will be wearing Bank of Beirut uniforms at the AFC and will be assisted by one of the best strikers in the world, Iranian Mahdi Javid. Bank of Beirut will also be joined by the Brazilian Bello (Patrick Vieira Luz), who was key to Mes Sungun’s 2018 domestic title. I can’t imagine either of these teams being any less of a threat than Chonburi, Mes Sungun and Nagoya Oceans, so from my perspective there will be at least five realistic contenders for the title. Also worthy of note is Vietnam’s Thai Son Nam. Though the tournament regulations limit foreign players to one Asian and one non-Asian, there does not appear to be any limit on the use of domestic players. Out of the 14 Thai Son Nam players, almost half are players from other teams in the domestic league. And they are joined by Kuwaiti international Abdulrahman Altawail and Madrid-born Equatorial Guinea international Roberto Tobe, who made a name for himself at Caja Segovia, Movistar Inter and elsewhere. So Thai Son Nam is essentially the Vietnam national team with two foreign players.